Have Questions About Legal Concepts or Have Criminal Issues you Want to Discuss? Call the elite criminal defense law firm of LEWIS & DICKSTEIN, P.L.L.C. for help with any Constitutional Defense including the Double Jeopardy Defense. Double Jeopardy is addressed in the Fifth Amendment of the United States Constitution which provides that, “[n]o person shall … be subject for the same offence [sic] to be twice put in jeopardy of life and limb.” This is intended to prohibit state and federal governments from prosecuting people for the same crime more than once, or imposing more than one punishment for a single offense. If you have criminal law questions or are charged with a felony or misdemeanor, we can help clear up any questions you may have and provide exceptional legal representation relative to any criminal charge. As to double jeopardy, contrary to the 1999 movie, Double Jeopardy, starring Ashley Judd, you can be prosecuted for actually murdering a person that you have already been convicted of murdering when the “victim” turned out not to be dead the first time. Double Jeopardy is one of the oldest legal concepts in Western civilization. As early as 355 BC, Athenian statesman Demosthenes said, “[t]he law forbids the same man to be tried twice on the same issue.” The Romans adopted the concept in the Digest of Justinian I in AD 533. Double Jeopardy also survived the Dark Ages (AD 400-1066). English common law described double jeopardy as, “a universal maxim of the common law.” The Founding Fathers expanded the protection against double jeopardy when writing the United States Constitution. Double jeopardy does not apply the the time of an arrest. There are rules to when it applies. 1. What type of legal action does double jeopardy apply to? an initial reading of the double jeopardy clause appears to show that it applies only to capital crimes. The United States Supreme Court has extended it to all felonies, misdemeanors, and juvenile delinquency cases, regardless of the punishment. 2. When does jeopardy begin? the United States Supreme Court has held that jeopardy attaches during a jury trial when the jury is actually sworn in. In a trial by judge, and not jury, jeopardy attaches when the first witness is sworn in. In a juvenile delinquency case it attaches when the court first hears evidence. If there is a plea, then jeopardy does not attach until the court accepts the plea. 3. When does jeopardy end? Jeopardy ends after a not guilty verdict, after dismissal, after a mistrial, and on appeal after conviction. 4. What is considered the same offense? the United States Supreme Court has determined that the government may prosecute an individual for more than one offense stemming from the same incident only when each offense requires proof of a fact that the other offenses does not require. The prosecutor bears the burden of proof to show that within a group of charges, each has at least one element that the other offenses do not have. We all enjoy watching movies and television. It is important to remember that it is entertainment and not intended to be correct information to be used in an actual courtroom. 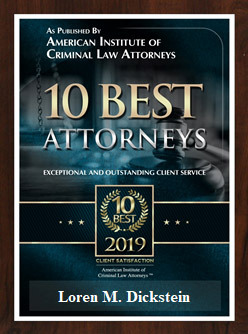 If you have legal questions or think you do not fully understand a legal issue, it is best that you get answers from experienced and reliable criminal defense lawyers. This is especially true when you are facing criminal charges. You want to have the best, most highly trained and experienced legal team working to protect you. The defense attorneys with LEWIS & DICKSTEIN, P.L.L.C. have devoted their entire professional career to exclusively working for the protection of people facing criminal charges. We feel it is our obligation to protect people from over zealous law enforcement, make sure the rules are followed, and ensure the playing field is fair by providing a strong defense. Our attorneys have a remarkable track record of success in state and federal courts throughout the United States. If you have legal issues or questions, do not trust just anyone with the answer, trust the lawyers of LEWIS & DICKSTEIN, P.L.L.C. 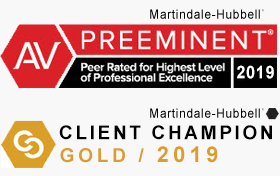 Call us for a free consultation at (248) 263-6800 or complete a Request for Assistance Form and one of our award winning attorneys will contact you promptly.